These bunnies appear ready to get on with the Easter egg distribution, or are they dancing? The patterns include a bunny face with features and one set of check-print arms and body. The other face is blank to be drawn in and a blank body and arms to be, or not, decorated. 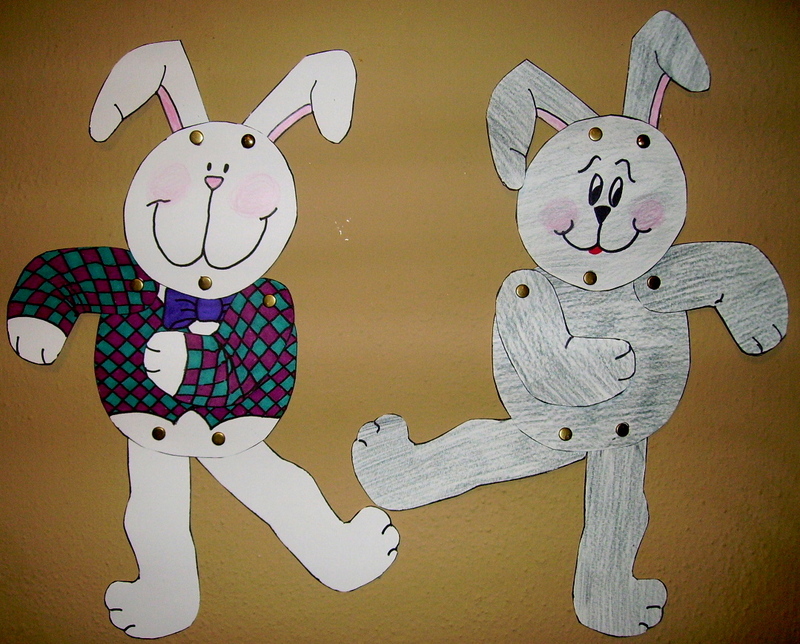 Put these posable bunnies together with paper fasteners. The directions for this project, “Posable Bunny,” is found in the Easter Projects Gallery in the sidebar. This entry was posted in Easter and tagged childrens easter crafts, childrens easter projects, dancing bunnies craft for kids, easter crafts for kids, easter projects for kids, hanging bunny project, posable bunny. Bookmark the permalink.